What are Woof & Brew Pawsecco Freeze Pops? 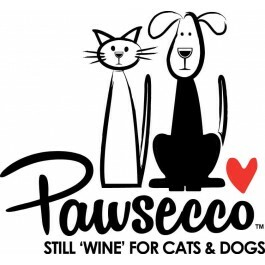 Woof & Brew Pawsecco is a non-alcoholic, non-carbonated and grape-free treat drink specially formulated for both cats and dogs. Not only can your four-legged best friend join you for a relaxing tipple, but due to the blend of specially chosen ingredients, they can feel the benefits of this healthy, herbal infusion too. 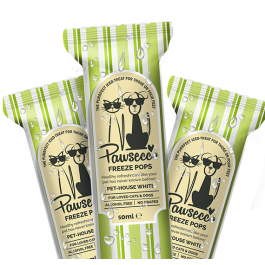 Pawsecco Frreze Pops have been created using Woof & Brew's Pet-House White Pawsecco blend. Each box contains 6 ready to freeze pops. Woof & Brew’s Pawsecco has been created with the advice of veterinary experts and taste-tested by dogs and cats, these specialized healthy, herbal infusions are made with 100% natural herbs, using Elderflower, Linden Blossom & Ginseng. What are the benefits of using Woof & Brew Pawsecco Freeze Pops? What is in Woof & Brew Pawsecco Freeze Pops? Composition: Water-based infusion of Elderflower, Nettle, Ginseng, Limeflower, Water, Acidifier Lactic Acid. How do I serve Woof & Brew Pawsecco Freeze Pops? Simply place into the freezer and give to your cat or dog once the pop has frozen.